On this particular occasion we were lucky enough to get some free tickets from a friend, who was singing in a concert of rather lovely music by the composer Ola Gjeilo. 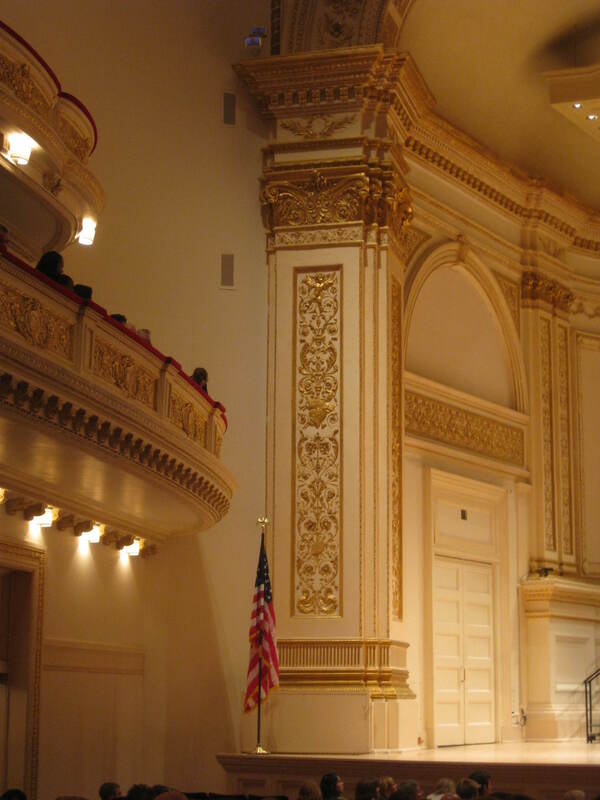 This was our first visit to the main auditorium at Carnegie Hall, and we found the decor most interesting – plenty of molded plaster and gilt, but in a rather restrained style (at least when compared to many other such venues!). In some places it even looked a little like the decoration hadn’t quite been finished, but the acoustic was spectacular.